The last time we had a Modern Pro Tour, it was a wee bit disastrous. I'm sure some people enjoyed Pro Tour: Big Eldrazi vs. Small Eldrazi, but it was a little disheartening to see Magic's premier Constructed format reduced to what was essentially a contest over the best way to abuse Eye of Ugin and Eldrazi Temple. Oh-and to add salt to that particular wound, it came in the wake of a surprise Splinter Twin banning that was ostensibly just to make the Pro Tour more interesting. Pro Tour Rivals of Ixalan was about as close to the opposite of that as it gets. There were sixty-four different Modern decks (!) in the Day One field. No one deck was played by more than 10% of players. Seven different decks made Top 8. Aggro, combo, control, and midrange were all represented. Several of the format's best decks came close to running the table, but so did a couple of new and rogue strategies. To say that this is the best Modern format ever is kind of an understatement-it's probably one of the best metagames that any Magic format has ever had in the history of the game. I get why some people strongly disagree with me on this. Competitive players want each game to come down to skill as much as possible, and doing well at a current Modern event involves a ton of matchup luck. You have to hope that your pairings go well, that your sideboard strategy matched up well with the decks you faced, and that you draw your silver bullets often enough. You can play perfectly and wash out while somebody else can get lucky and do well simply because the format is so diverse. On the other hand, Pro Tour Rivals of Ixalan is nothing if not a testament to skill over deck choice. It's hard to argue that Abzan is one of the format's top ten decks, but Reid Duke knew it well enough to pilot it right into the Top 8. Ditto for Gerry Thompson and Mardu Pyromancer. When there are twenty or thirty viable decks, an excellent player who knows their deck inside and out (and, yes, gets a little matchup luck) is going to beat the player with the "better" deck and less experience more often than not. Financially, this is an important fact to internalize. Formats with one or two dominant decks tend to experience wild price swings as seasoned players are constantly forced to chase down the latest tech in order to be competitive. 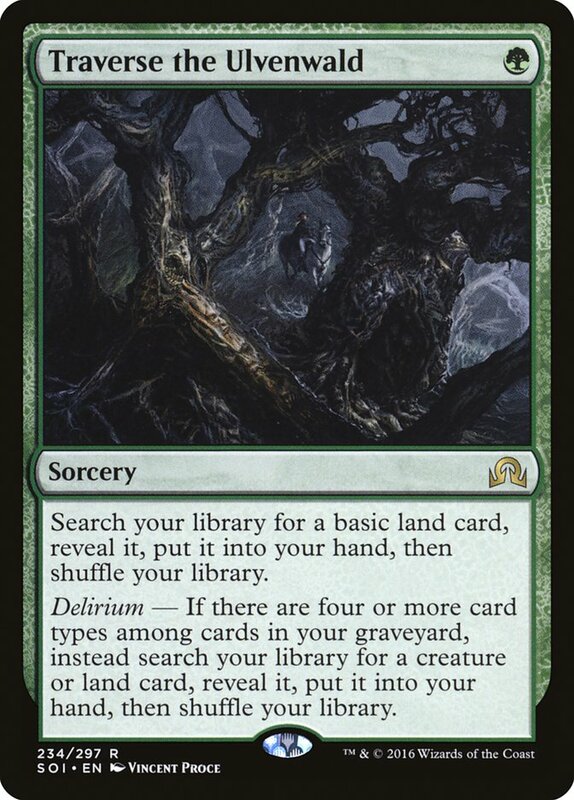 On the other hand, more diverse formats reward you for sticking with what you know. I have to believe that most people who watched the Pro Tour this weekend realized that their best path forward might just be getting in as many reps as possible with the deck they already know and love the best. These are all the decks that 1) at least five people played, and 2) that had a Day Two conversion percentage of at least 70%. I threw out a couple of results where two people played the same deck and they both made day two because the sample size is just too small for those figures to mean much. If at least five people played a deck and they all did well, though, I feel confident in saying that it's probably pretty good in the metagame right now. I didn't see much press on U/R Breach going into the weekend, but 5 out of 5 players making Day Two is notable. It's not a cheap deck-you need Emrakul, the Aeons Torn, and Through the Breach-but if you've already got your Blood Moons and Snapcaster Mages, it might be worth snagging a few of these other pieces and sleeving it up. Through the Breach has a pretty high reprint risk since it has been more than ten years since Champions of Kamigawa, but it could easily end up at $60-$70 in the meantime. I doubt it'll spike as a result of this event, though-even though U/R Breach did well, Titan Breach did very poorly. It's worth keeping an eye on the card going forward in case U/R Breach continues to put up results, though. If it keeps winning, those Titan Breach results might not end up mattering. But let's move on to Traverse Shadow, which is likely to be one of the buzzier decks over the next couple of weeks. Death's Shadow seemed to be on its way out, but this variant looked great on camera all weekend and had an amazing conversion percentage. We know how good Death's Shadow can be when it's on, and this variant looks to be tier one in the current meta. Both Death's Shadow and Traverse the Ulvenwald should be primed for quick gains based on these results. Neither is going to be reprinted in 2018, and Traverse the Ulvenwald is still just a $2 card despite proving itself as a four-of in Modern and a solid Commander staple. The real action here might be in foils, though, and both could easily end up breaking $20 before long. I also wouldn't be shocked if this result ends Tarmogoyf's long drop. Many builds of Traverse Shadow run a full set of Goyfs, as does Reid Duke's Abzan list. If Tarmogoyf is back in a tier one deck and it doesn't get reprinted in Masters 25, it might end up doubling in price again by the time summer begins. I'm also expecting a potential jump from Street Wraith. Not only is the card a four-of in Traverse Shadow and the other Death's Shadow variants, it's an essential component in B/R Hollow One, one of the Pro Tour's other breakout brews. Street Wraith did spike earlier this month, but there should be enough legitimate demand thanks to the Pro Tour to support another spike. Is there really going to be a $10 common from Modern Masters 2013? I think so. Speaking of B/R Hollow One, it turns out this was not just another Saffron Olive flash in the pan. 5 of 6 players made it to Day Two, including Ken Yukuhiro's run into the Top 8. Expect some major, lasting spikes from some of these cards now that we know that the deck has legitimate staying power. Bloodghast is already up to $13 despite just being reprinted in Iconic Masters, but it could end up closer to $18. Goblin Lore is far more scarce; that one will end up over $10 with a shot at $25+ (Think pre-reprint Mishra's Bauble) if Hollow One continues to do well. 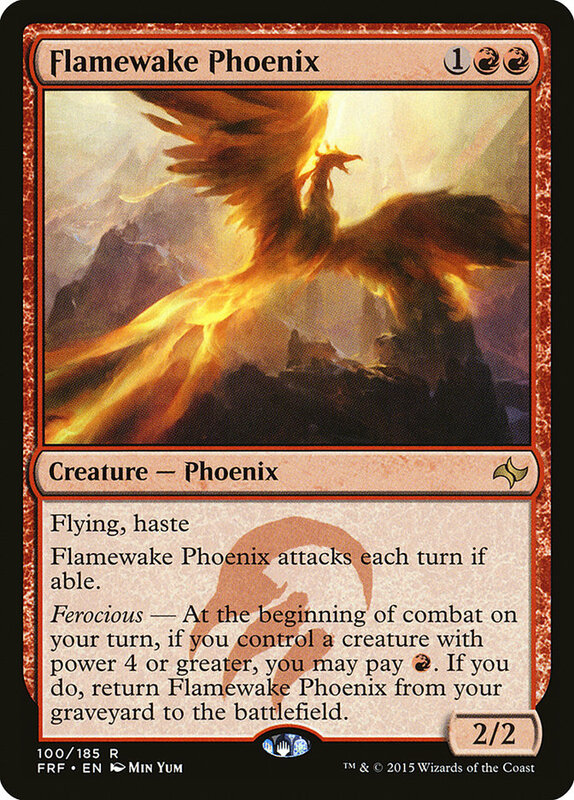 As for your less-heralded spec options, Hollow One and Flamewake Phoenix aren't likely to jump as high since their supply is so much greater. They were selling for $1.49 and $0.49 respectively before the Pro Tour began, though, so they don't have to spike very hard for it to be worth buying in. Both of those should end up closer to the $5 range. I don't have as much to say about Grixis and Jeskai Control. Snapcaster Mage and Cryptic Command are really good right now, and control put up outstanding numbers all weekend. These decks may not have made it into the Top 8, but people are going be sleeving them up in greater numbers going forward. You can thank Search for Azcanta, at least in part-that card is going to be all over Modern for the next decade, and I doubt the price drops off much when Ixalan rotates. Also, it's worth noting here that Field of Ruin proved its worth in control shells all weekend long. It only made it into one of the Top 8 decks, but its impact was felt at plenty of the top tables. The foil is already sold out at $18, and it'll probably end up settling in over $20. Make sure you snag a set of non-foils at some point soon, too-it's going to be a Modern staple for quite some time. Lastly, Eldrazi Tron had quite a good weekend. This is another deck that has been good for quite a while, and it's not even like the other Tron decks did poorly-overall, the Urza lands had a solid Pro Tour. There aren't too many under-the-radar buys here, but it's worth noting that it'll probably be a couple of years before Thought-Knot Seer and friends are reprinted. I'm not speculating on these, but I'll always trade for them at current retail-they're great low-risk holds. Much like with the conversion winners, I cut a bunch of decks that only a couple of people played and lost with. The fact that both Merfolk players failed to make Day Two doesn't tell me much other than the fact that most pros opted not to run Fish this weekend-quelle surprise. 22 pros did sleeve up Primeval Titan decks, though, and I'm guessing that most of them wish they'd made a different choice. Since none of the other consensus good decks had a really poor tournament, these results stand out. 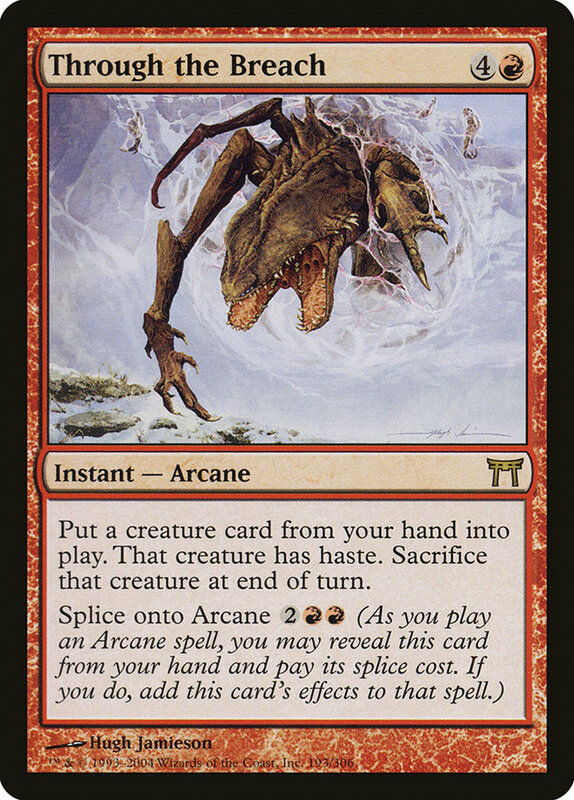 I wouldn't expect Primeval Titan to rebound in price any time soon, and Scapeshift seems like a strong sell. Not only is it not good right now, it'll probably be reprinted soon. I'd be looking to move on from my Summoner's Pacts and Valakut, the Molten Pinnacles in the wake of these results, too. It would be irresponsible for me to talk about Pro Tour Rivals of Ixalan without touching on Five-Color Humans. The commentators called it "the deck of the tournament" several times on Day Two, and they were proven right when it became the only deck to send two copies into the Top 8. It didn't have as high a conversion percentage as the decks we discussed above, but it was still firmly above average. Oh-and it was the most-played deck on Day One. 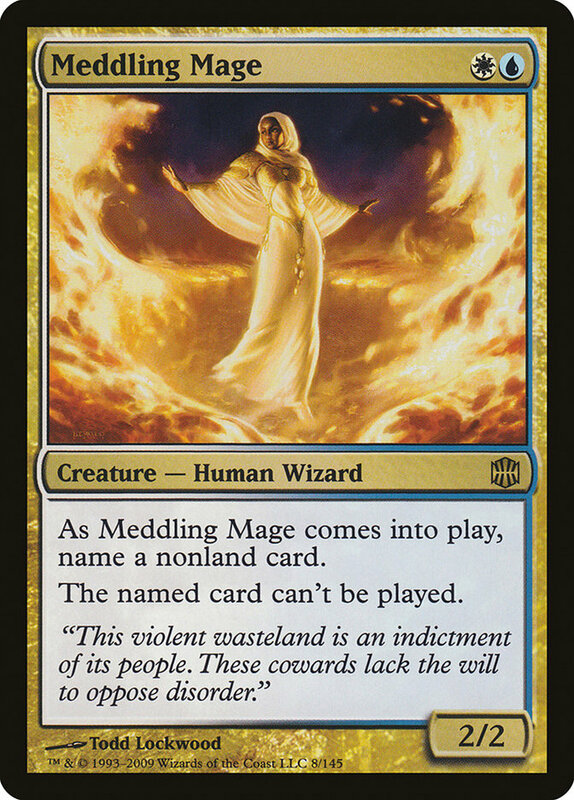 Most of the best Humans have spiked at least twice over the past few months, and it's tough to find a Meddling Mage for less than $20 these days. Cavern of Souls has rebounded quite nicely from its recent reprint, as well, and Thalia, Guardian of Thraben continues to climb in price. 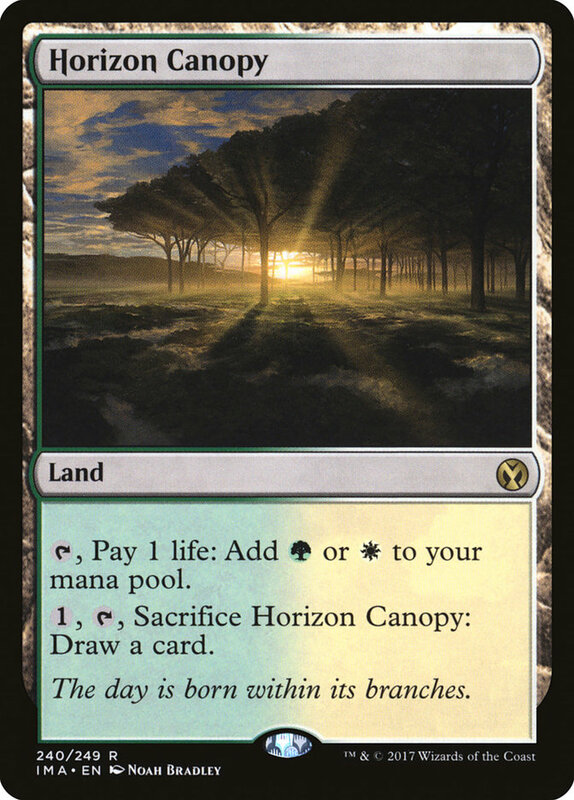 If you're looking for under-the-radar specs, then you have to look at cards like Aether Vial and Horizon Canopy. Both cards were in Iconic Masters, which means that the supply on them right now is probably about as high as it's going to be for a while. Neither card has started to perk up again yet, which tells me that you've got some time to buy (or trade) your way into a set at some point over the next couple of weeks. You may also want to think about potentially undervalued foils. Foil copies of Mantis Rider, Kessig Malcontents, Thraben Inspector, Reflector Mage, and Kitesail Freebooter are all under $10. If you expect Humans to be a tier one deck going forward (as I do) than all of these cards are currently underpriced. 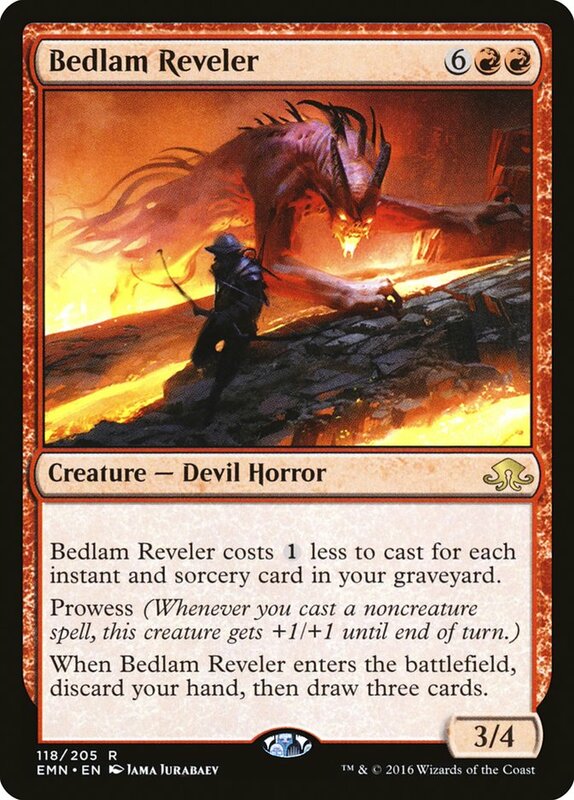 Speaking of foils, the ship has probably sailed on Bedlam Reveler. It was the key card in Gerry Thompson's Mardu Pyromancer deck, and foil copies are currently sold out at $10. The deck didn't actually do all that well on Day One-it had a below-average conversion percentage of just 53.8%-but Gerry's Top 8 berth plus the deck's overall coolness factor should lead to an increase in demand over the next couple of days. My favorite card in Mardu Pyromancer isn't Bedlam Reveler, though-it's Collective Brutality. The card is all over Modern these days, showing up in Tron, Death's Shadow, B/R Hollow One, Dredge, Lantern Control, and more. The gains have been slow, but it has climbed a couple of bucks over the past few months as supply continues to dwindle. I fully expect Collective Brutality to end up in the $25-$30 range before it's eventually reprinted, and I'm glad that I already own a couple of sets. I'd suggest snagging a few if you're an active Modern player and you don't have your copies already. Speaking of Pyromancer decks, let's not forget that U/R Pyromancer made it to the Top 8 as well. This is a much less heralded deck-only two people even brought it to the Pro Tour-and it's yet another Snapcaster Mage + Cryptic Command brew that builds up a battlefield with Young Pyromancer much like the Delver of Secrets decks do in Legacy. Ancestral Vision is one of U/R Pyromancer's key cards, but I have to believe that any gains here are likely to be offset by the fact that Mono-Blue Living End didn't do much at the Pro Tour-in fact, only one player brought a Living End deck to Spain at all. At this point, I think a bet on Ancestral Vision is a bet on Bloodbraid Elf being unbanned later this month-and we'll get to why I don't think this is particularly likely a little later. I'm a little more intrigued by Thing in the Ice. Pascal Vieren ran three of them, and this is one of those cards that almost everybody on the planet really, really wants to be good. Thing in the Ice is going to be popular in casual Magic forever, it's hard to reprint, and you can pick them up for just $2.50 right now. Heck, foils are just $8. I'm not sure how much game U/R Pyromancer really has going forward, but I'm grabbing a few sets of these just in case. Lastly, our Top 8 featured two other known quantities in Abzan and Lantern Control. These decks have been kicking around for a while, and I don't think that their performance over the weekend is going to cause to much financial fallout. Lantern Control might have a few underpriced foils-Pyxis of Pandemonium, Whir of Invention, and Spire of Industry-but I'm not aggressively targeting those because the deck is just so polarizing. 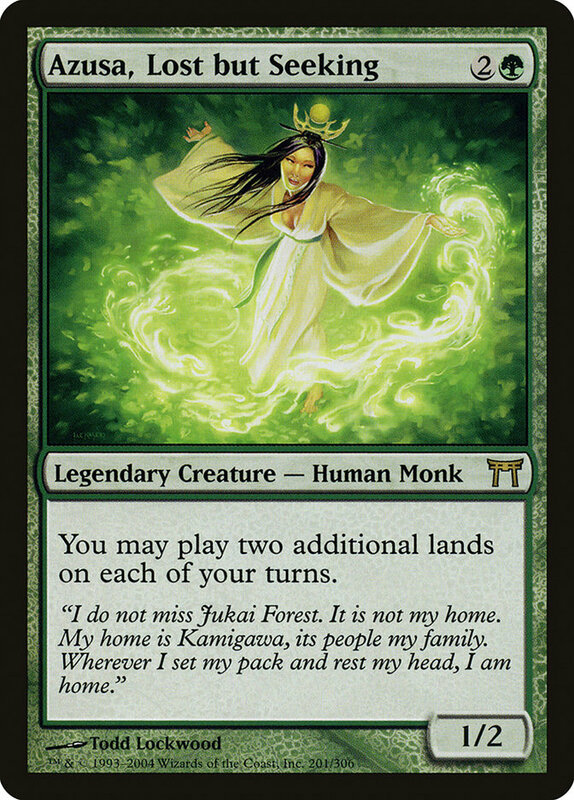 Meanwhile, Abzan's best cards have been good forever, so I'm not sure what you'd speculate on here. It's worth noting that reports of Liliana of the Veil and Tarmogoyf being bad in Modern have been greatly exaggerated, though. Expect both cards to see plenty of play-and to be in high demand-going forward. At this point, we're all waiting to see whether or not WotC will either ban or unban something in order to shake up the format in the wake of the Pro Tour. I'd rate a ban as especially unlikely. No single card or strategy dominated in Bilbao, and banning something like Death's Shadow, Street Wraith, or Lantern of Insight seems too aggressive at this point. There was no unbeatable deck, and a ban for the sake of format diversity would be incredibly silly. The format is more diverse than it has ever been! I'm also leaning against an unban. There are probably a couple of cards that are safe to unban, Bloodbraid Elf chief among them, but…why? There are literally dozens of playable decks in Modern right now, and is it worth upsetting the entire apple cart for the sake of giving Jund or Temur a boost? People seem pretty satisfied with Modern at the moment, so WotC can save that bullet for a future moment when it needs a change. If I was in charge, I wouldn't ban or unban anything, and that's the decision that I expect WotC to reach as well. The Standard market was relatively quiet this week as the eyes of the world were on Modern. Rekindling Phoenix and Vraska's Contempt each jumped a couple of bucks, though, as they've continued to solidify themselves as top tier format staples. Search for Azcanta and Hazoret the Fervent continue to trend upward as well. On the other side, most of the "busts" from Rivals of Ixalan have come close to bottoming out. Profane Procession, Blood Sun, and Azor the Lawbringer each dropped about a buck this week as they've failed to do much in Standard yet. If you were holding off on buying cards like this until the hype died down for a pet deck or a longshot spec or something casual, consider your window to be finally opening up. We got our first peek at Masters 25 over the weekend. 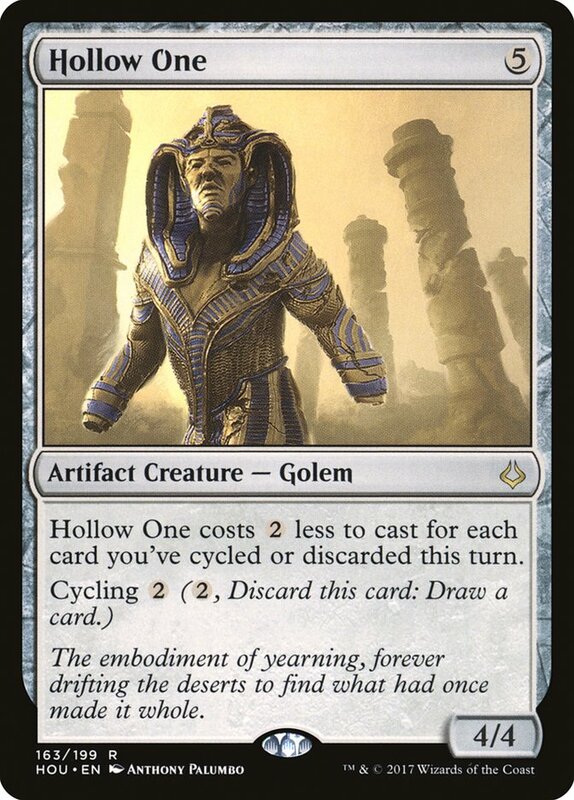 Jace, the Mind Sculptor, Phyrexian Obliterator, and Azusa, Lost But Seeking are all in the set, along with an unknown new card that seems to be either Platinum Empyrion or Blightsteel Colossus (though it could also be Arcbound Ravager, Steel Overseer, or any number of other high-end artifact creatures). Azusa, Lost But Seeking is a must-sell right now. It hasn't been printed since Champions other than the judge foil, so the high price is almost entirely due to scarcity, not demand. It'll drop hard, especially since Masters 25 will be in Target and Wal-Mart like Iconic Masters was. Even though the price has dropped since Friday, you should get out of these ASAP. 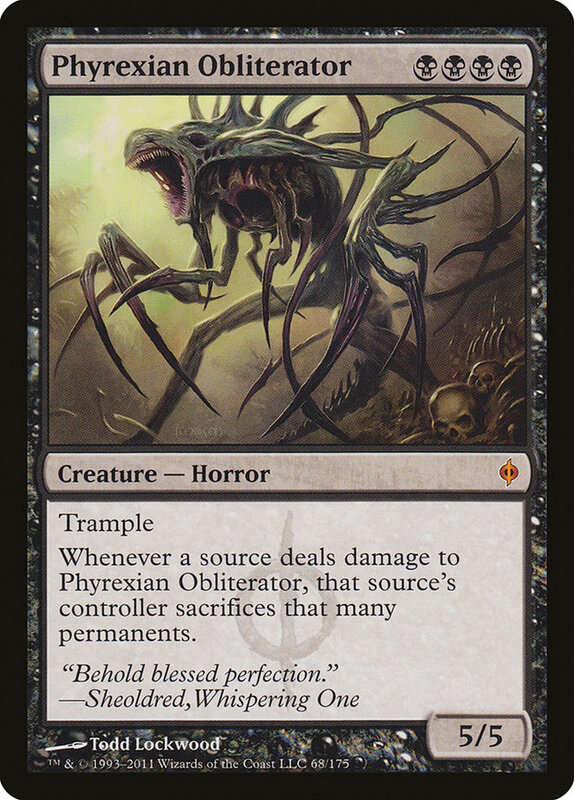 Ditto for Phyrexian Obliterator. Not only is this a low-supply mythic, it's primarily a casual card. There will be enough of these to go around once Masters 25 packs are everywhere. Jace, the Mind Sculptor is a little more interesting. It's possible that the reprint will coincide with an unban in Modern that will drive hype for the new set. 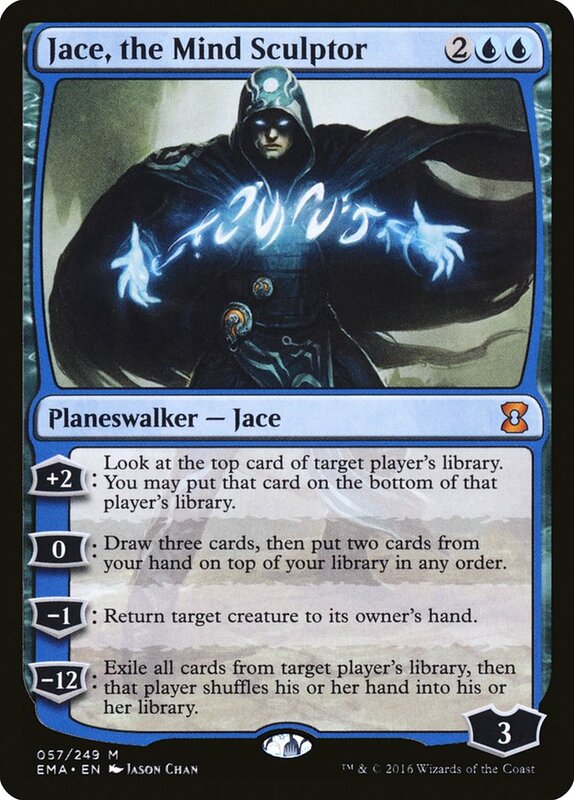 This is something I've been eyeing for a few years now, and a simultaneous Bloodbraid Elf unban might allow Jace to thrive in Modern without being broken. 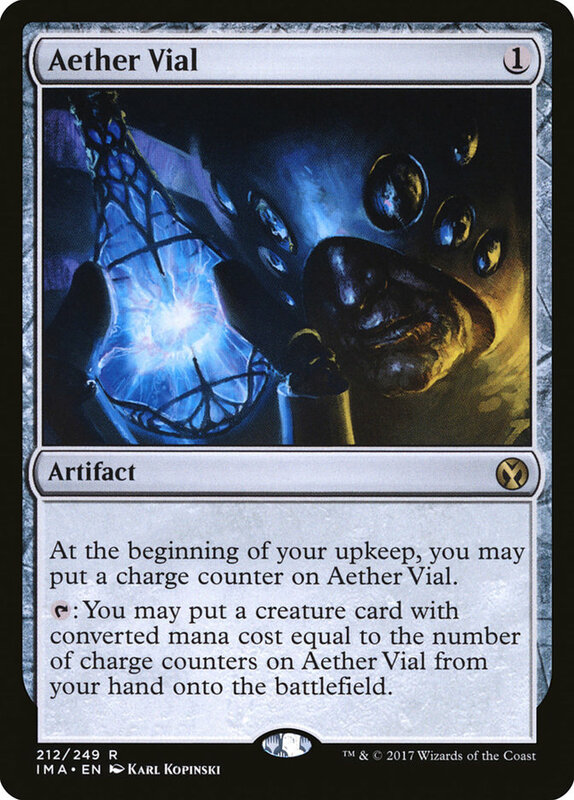 In that case, I'd expect the card to break the $100 mark overnight even with the incoming reprint. This upside is high enough that I'm not going to sell any of my Jaces right now just in case. This is fairly unlikely, of course, especially in the wake of the Pro Tour. Masters 25 is not necessarily a Modern-centric set, there are plenty of reasons why Jace might not ever be a safe unban, the Pro Tour proved that Modern is in a great place right now, blue decks are better in Modern than they've been in years, and a set devoted to all 25 years of Magic's history was probably going to have Jace, the Mind Sculptor in it regardless. I'm not saying that this theory is likely, only that you should be aware of its possibility. Speaking of the B&R announcement, Bloodbraid Elf had begun to sell out and spike in anticipation of an unban. This is where you have to decide how much you want to gamble. The safe play is to sell your copies in the day or two leading up to the announcement where you can lock in your profit regardless. The upside play is to sell them the day of the announcement if Bloodbraid Elf is in fact unbanned. 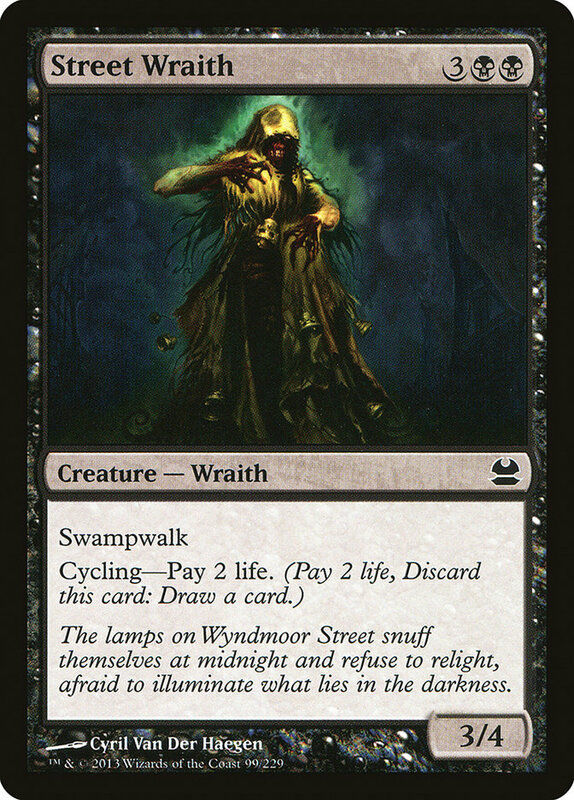 The biggest risk to this second line isn't even the card not being unbanned-it'll be hyped up all over again next year if it doesn't come off the list after the Pro Tour-but a reprint in Masters 25. Choose wisely: it'll probably sell for $10-$12 in the immediate wake of an unban, but no unban plus a reprint would leave it in the $1-$2 range again. I'll be selling the day before the announcement, myself. According to Mark Rosewater, a second run of Unstable boxes are being printed right now and should hit shelves soon. I still love the set and its "staples" as long-term holds, but be aware that this is going to be print-to-order for a little while longer. Hoarding boxes is fine, but be patient and make sure you're getting them at a solid below-retail rate. There's no need to pay anymore than you have to right now. Lastly, StarCityGames is running a No-Banned List Modern tournament at SCG Con in June! While No-Banned List Modern isn't likely to replace the real thing, increased media attention might end up causing it to catch on as a fun new variant. People like doing broken things in Magic, after all, and No-Banned List Modern could end up being something similar to Legacy if the metagame breaks right. To that end, I wouldn't mind owning a few dozen copies of key cheap banned cards. Amazing cards like Hypergenesis and Blazing Shoal are dirt cheap, have incredibly low supply, and are extremely unlikely to ever be printed again. All it would take would be a couple of stores running regular No-Banned List Modern events to cause cards like this to spike pretty hard, so make sure that you have at least a couple lying around just in case. It might never pay off, but the buy-in is very low and the upside is very high. That's the sort of spec I love!